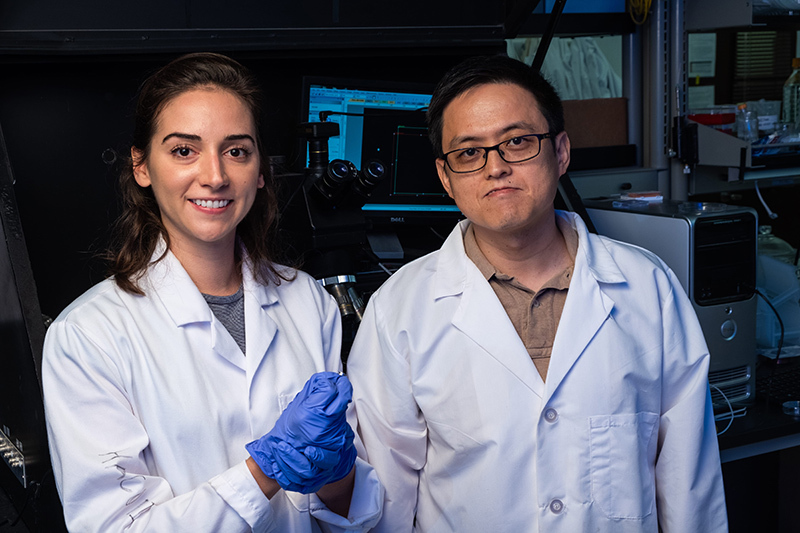 Rice University graduate student Emily Hacopian and materials scientist Jun Lou led a team that tested the toughness of rebar graphene. 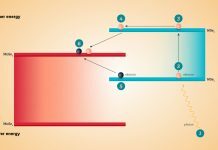 They discovered that reinforcing graphene with carbon nanotubes makes the material twice as tough. Credit: Jeff Fitlow/Rice University. Graphene is an atomic-scale hexagonal lattice made of carbon atoms, a one-atom-thick sheet of carbon. 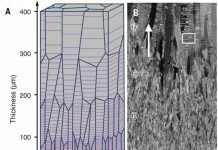 On the two-dimensional scale, the material is stronger than steel, but because graphene is so thin, it is still subject to ripping and tearing. Graphene is a semi-metal with small overlap between the valence and the conduction bands (zero bandgap material). It is an allotrope (form) of carbon consisting of a single layer of carbon atoms arranged in a hexagonal lattice. 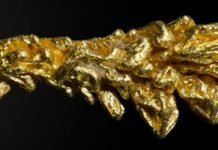 It is the basic structural element of many other allotropes of carbon, such as graphite, diamond, charcoal, carbon nanotubes and fullerenes. Graphene has many uncommon properties. It is the strongest material ever tested, efficiently conducts heat and electricity, and is nearly transparent. Graphene shows a large and nonlinear diamagnetism, greater than that of graphite, and can be levitated by neodymium magnets.